Its hard to believe that in the last ten years, we've already had three different incarnations of Spider-Man on the big screen. Following Marvel Studios acquisition of the character and his beloved appearance in Captain America: Civil War, its safe to say people are pretty happy with Tom Holland's version of the character (Sorry Tobey and Andrew). Having that in mind, Marvel has really gotten things going with their solo movie Spider-Man: Homecoming set to hit July of next year, and they didn't shy away from giving fans some information about the film at this year's Comic-Con. The trailer opens with an amusing montage set to Joan Jett’s “Bad Reputation,” showing all of the Avengers’ (including Stephen Strange) high school yearbook portraits to illustrate that all heroes have a beginning. It then cuts to Midtown High to provide a breakdown of Peter Parker’s day. In addition to attending classes and admiring cute girls from a distance, he’s also working hard on maintaining his crime fighting lifestyle. There’s funny bits of comedy when Parker is watching a YouTube video of his battle against Giant Man in Civil War during a science seminar, and when he’s mixing a new web fluid formula at school. 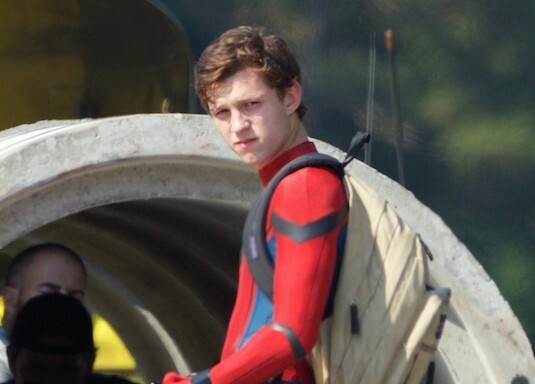 Since Homecoming has only just begun principal photography, just about all of the reel was dedicated to depicting the high school scenes (with appearances by Zendaya, Angourie Rice, and other teenagers), but there was a portion of costumed Spidey action. Parts of what is most likely the set piece hinted at in leaked set photos (Spider-Man on a truck) was shown, giving the fans the briefest of tastes of classic web-slinging action. 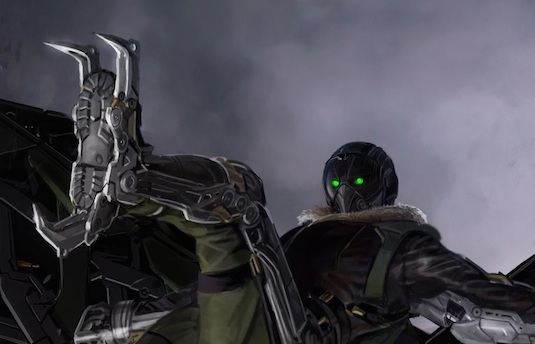 It ended with confirmation that the villain would be the Vulture, whose appearance from the comics has been upgraded. The antagonist looks like he’s wearing an Iron Man suit with wings. That may not necessarily be the case, but the outfit was certainly mechanical in nature. Lastly, in an interview alongside his cast Jon Watts finally revealed the identities of some of the supporting characters of Homecoming. He confirmed that Tony Revolori is in fact playing Peter's high school bully Flash Thompson, which a departure from the usual towering blonde hair blue-eyed version from the comics. He also revealed Laura Harrier is Liz Allen, Zendaya is Michelle (Gonzalez? ), and Jacob Batalon is Ned Leeds. Leeds is the second man to sport the Hobgoblin costume in the comics, but I don't we should expect Batalon's version of the character to have much in common with his comic book counterpart. 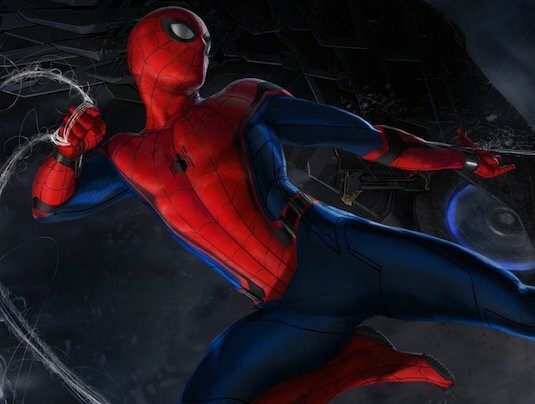 So what do you think of all the new Spider-Man: Homecoming info? Are you excited to see the movie? Let us know below!